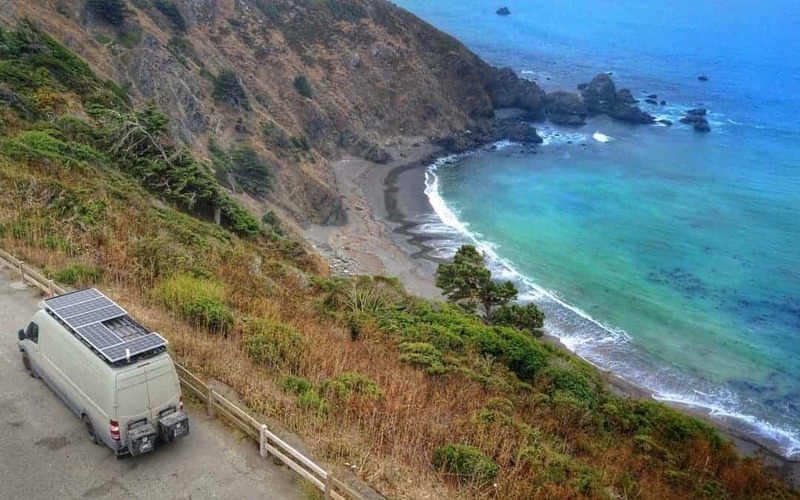 If you’re looking for some adventure tossed with beautiful scenery, these Pacific Coast Highway stops are for you! The Pacific Coast Highway, aka Highway 1, is a stretch of incredible, windy coastline in California. Stretching over 650 miles from just north of Fort Bragg all the way down south of Los Angeles, this drive is one of the most famous drives in all of the United States. It’s even been aptly nicknamed the All-American Road. Our trip took us on a southward journey through this unforgettable landscape on the Pacific Coast. During our trip south, we identified our seven favorite adventure-filled stops on the Pacific Coast Highway. These are in order from North to South, not in order of any favorites. It may be a tad impossible to choose a favorite! Highway 1 officially begins at the junction of Highway 101 and Highway 1 in Leggett, CA. This is just outside of the Redwoods National Forest at the end of the Avenue of the Giants. As you make your way west from the Redwoods toward the coast, you’ll get your first taste of the (literal) road ahead. The road is windy and steep, carving through the forest with every turn. Just when you think you might have made a wrong turn through the forest rather than the Pacific Coast Highway, the smell of the forest gives way to the salty sea. Turning the corner one last time, you get your first glimpse of blue – a vast ocean ahead means you’ve finally reached the coast. The very first roadside pullout you come to after you’ve reached the coast is a large pullout and is great to get out and stretch your legs. We highly recommend you stop here and take it all in – your Pacific Coast Highway road trip is really getting started now! You can often see whales in the distance off the coast here, so be sure to keep your eyes open. Listen to the water crashing against the rocky seashore below. While this isn’t the most adventure-packed stop on the list, it is thrilling to finally see the ocean, and well worth the addition on this list. So, hop back in your car and enjoy the view till you get to your next adventurous Pacific Coast Highway stop. Approximately 32 miles down the road from the previous stop, you’ll come to Big River Estuary, where you can park for free and enjoy the river. Paddle the cool waters on your paddleboard or kayak, or rent one from one of the outfitters in town. The great thing about the wide river here is that most often, you can paddle upstream just as easily as you can paddle downstream, which means you can explore the river without having to shuttle back to your car. Stop into the paddlesports shop in town if you need more info on the river. 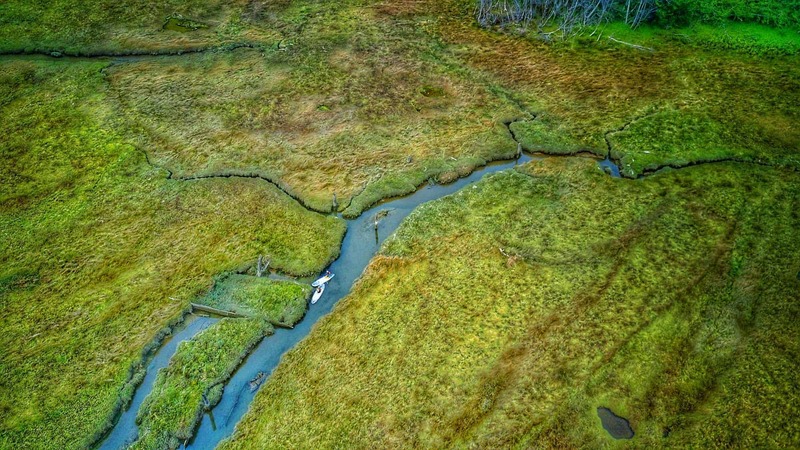 During our paddle up the Big River Estuary, we saw an otter, several loons and ducks, cranes, some crabs, and lots of fish. Standing up on your paddleboard gives you a great view of the underwater life in shallower waters. Our trip brought us there mid-September, and the water was cold, but not unbearable. Kids waded in the water at the beach near the parking area, although the water was too cold for us to soak in. Kids are more resilient! This stop took us the better part of the day and gave us a good workout after having sat in the van for several hours of driving. What would a Pacific Coast Highway stops list be without Big Sur? Well, this year when we went, it would’ve been easy to skip over Big Sur as landslides plagued the area and cut off easy access to about 40 miles worth of Highway 1 in Big Sur. However, this just added to the adventure for us! The back way into Big Sur via Nacimiento-Ferguson road is a steep, windy, unmarked mountain road, with blind corners and cliffs to make you squirm. Not for the faint of heart or the unskilled driver, this road was not to be taken lightly. Once in Big Sur, we nearly had the 40-mile stretch of Highway 1 to ourselves, which made exploring the area much easier. And while all of the area from Big Sur to Gorda is absolutely stunning, our favorite beach was Sand Dollar Beach. Grab your surfboard, paddleboard, boogie board, or skim board and get ready for a fun day! And don’t forget your wetsuit… this isn’t the Caribbean here! After parking in the Day Use Area, or street parking along the highway, you take a steep path to a set of stairs and down to the beach. With massive cliffs providing an epic backdrop as well as some protection, the beach feels like it’s secluded from the rest of the world. While our stay brought less visitors to the area anyway, this beach was one of the even less populated beaches in the area. Popular to surfers and fishermen, it was a good place to relax, watch the surfers, and catch some waves on our paddleboards. Morro Bay is a cute little town, with a beautiful view and a prominent geological feature, Morro Rock. On windy days here, the whipping sand feels like it’s piercing your skin, but don’t let that deter you from running along the sand dunes and playing on the beach. 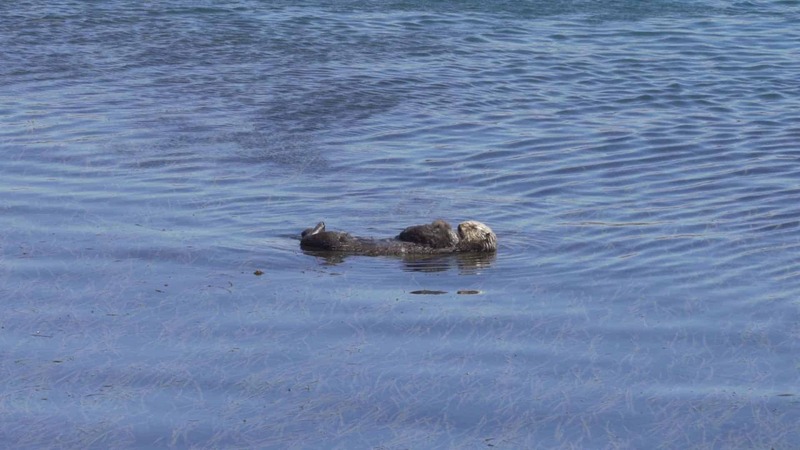 Once you’ve successfully worn yourself out on Morro Rock Beach, head over to the east side of Morro Rock and find the family of sea otters lounging in the sun, awaiting their photo to be snapped. According to the locals, these guys hang out here every day, basking in the protection of the bay. As always, don’t touch or approach wildlife, even if they seem friendly, and never feed them. Keep our wildlife wild. If you’re up for a bigger adventure, take a paddleboard or kayak out into Morro Bay for a better view. There are several free launch points along the bay, and free parking near Morro Rock. Just on the other side of the bay from Morro Rock, you’ll find Montaña de Oro State Park teeming with adventure opportunities. This was one of our favorite Pacific Coast Highway stops thanks to the adventure and beauty it offered. There are several mountain biking trails of all skill levels, hiking trails, and beaches to choose from. 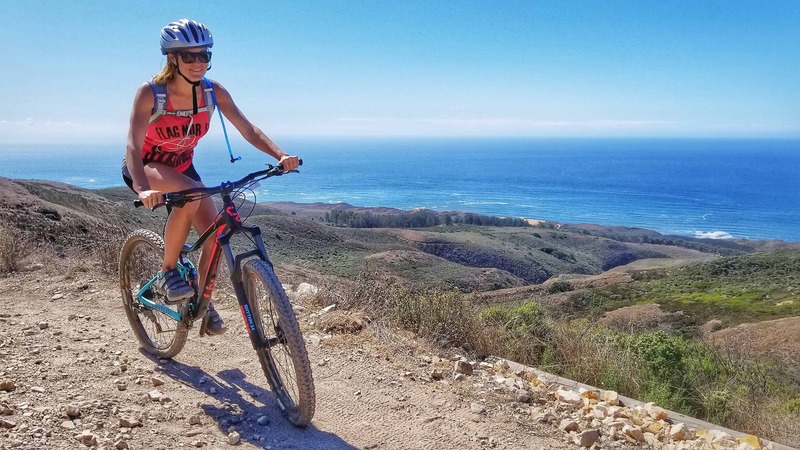 Mountain biking in Montaña de Oro is a great opportunity for beginners. While the climbs are never a fun experience, Montaña de Oro makes up for it with the spectacular views at every turn. It’s easy to turn a short ride into an all day event by simply taking in all the beauty that surrounds you. And once you’ve reached the top and been gifted the best view of them all, you can rip back down the mountain with grace and style… or clumsy and awkward, but still FUN! After your ride, head down to one of the beaches or tide pools and connect even more with the nature that surrounds you. While there are plenty of things to do and see in Santa Barbara, our favorite adventure was heading up the hill into Los Padres National Forest and catching a sunset view over the city. Taking another steep, windy mountain road (catching a theme here? ), make your way over Angostura Pass in the Santa Ynez Mountains. Being in National Forest land, you can camp for free and take any of the existing trails in the area to explore as you wish. 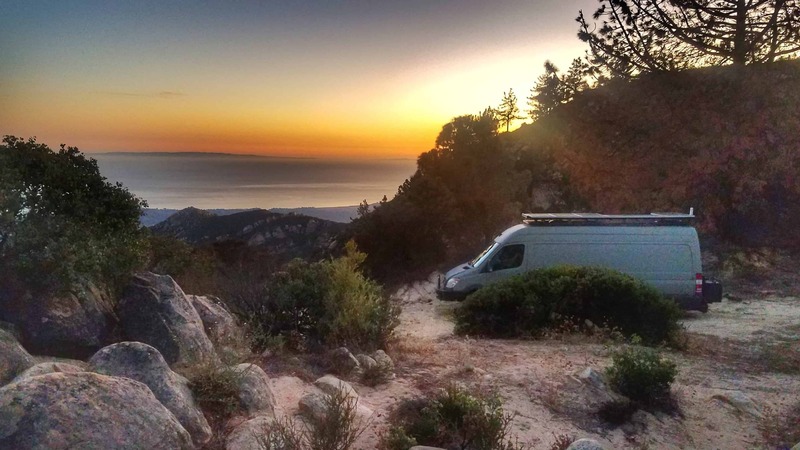 The campsite we found in this area was a spectacular view overlooking Santa Barbara. From our campsite, we could take several different trails and check out the view towards the coast or explore north overlooking Devil’s Canyon. Either choice offered quite a view. As we come nearer to the southern end of the Pacific Coast Highway, our next stop is a surfing and beach adventure that California is known to boast. Just on the north side of Ventura, CA, there are several free beaches with free roadside parking all along them. Once you get into Ventura and all the way south of Los Angeles, all beach parking is paid parking. So get your last bit of free surfing in here while you can! These beaches are surprisingly clean and well-kept and not as crowded as you would expect for a free beach. Every stop we made along this area gave us access to the beach with no issues finding a spot far enough away from others to feel comfortable. Many of the beaches even allow dogs, which was great to let the dogs play in the sand with us. 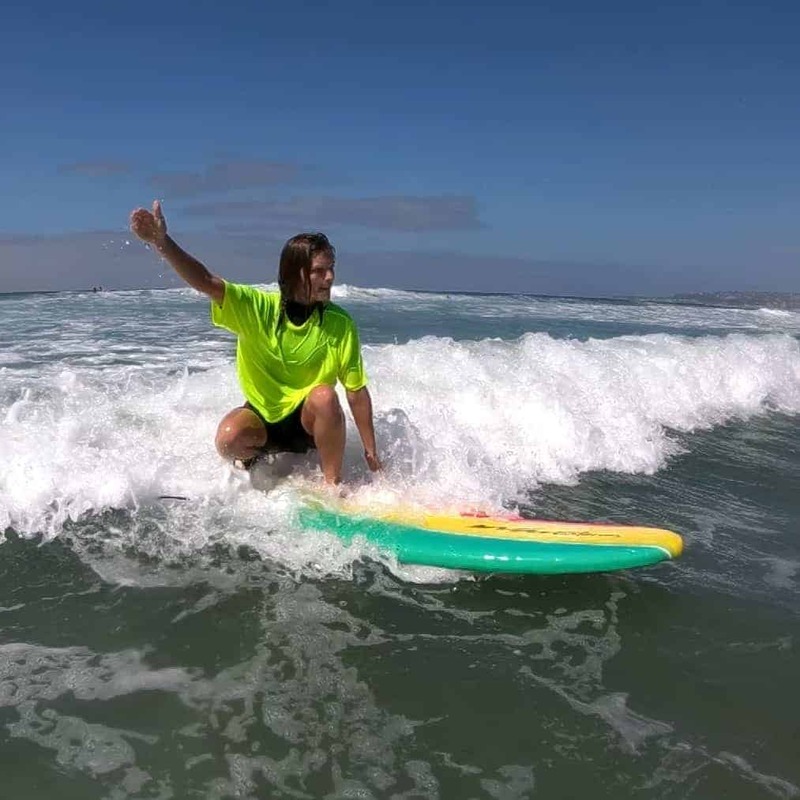 Surfing is the obvious adventure on this beach, as Ventura is known to be a surfing hot spot. However, since we don’t have surfboards just yet, we opted to take the paddleboards out into the water. Getting out past the break on paddleboards is relatively simple in smaller waves, and getting behind the break offers views of the water and shoreline that are unlike any other. The Pacific Coast Highway officially ends in Dana Point, California, about 35 miles south of Los Angeles. If you’ve stuck on the Pacific Coast Highway for the entire length, you’ve just driven over 650 miles of coastline in California! Pat yourself on the back and celebrate with a drink, because that is a once in a lifetime opportunity that many people will never be able to do in full. If you’ve just driven the entire Pacific Coast Highway, you’d be doing yourself a disservice if you didn’t drive the extra 60 miles or so to San Diego. San Diego boasts some amazing beaches (almost all of them offering free parking near them), such as Mission Beach and Ocean Beach. Just north of San Diego is La Jolla Cove, where you can hop in the water and snorkel with sea lions, or watch the sea lions surf some waves from the cliffs above. The northern start point of the Pacific Coast Highway begins at the turnoff from the Avenue of the Giants on Highway 101. 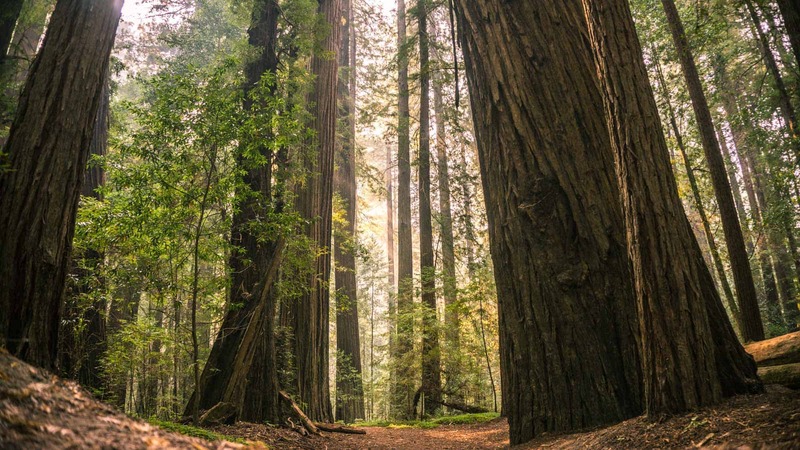 This 32-mile stretch of highway winds through the tallest trees in the world, the Giant Redwoods. Stop at a few of the many roadside pull offs and be amazed with the size and girth of these incredible trees.